Merlin Residency in Prince Anwar Shah Rd. Ideal Exotica in New Alipore Multicon Estelle in Prince Anwar Shah Rd. Hide this Project (Diamond City South) Discover properties in other projects by hiding the ones that doesn't interest you. You won't see them in your searches further but you can unhide anytime later. Hide this Dealer (R. K. Properties)Discover properties by other dealers by hiding those whom you have already spoken to. You won't see them in your searches further but you can unhide anytime later. Hide this Dealer (Ashirbad Enterprise)Discover properties by other dealers by hiding those whom you have already spoken to. You won't see them in your searches further but you can unhide anytime later. Hide this Dealer (Hamlyn Realty Pvt. Ltd.)Discover properties by other dealers by hiding those whom you have already spoken to. You won't see them in your searches further but you can unhide anytime later. Hide this Dealer (Biswadeep Ghosh) Discover properties by other dealers by hiding those whom you have already spoken to. You won't see them in your searches further but you can unhide anytime later. Hide this Dealer (Sriaditya Kasula) Discover properties by other dealers by hiding those whom you have already spoken to. You won't see them in your searches further but you can unhide anytime later. Hide this Dealer (Ashok Malik) Discover properties by other dealers by hiding those whom you have already spoken to. You won't see them in your searches further but you can unhide anytime later. Hide this Dealer (ABHIJIT DAS) Discover properties by other dealers by hiding those whom you have already spoken to. You won't see them in your searches further but you can unhide anytime later. Hide this Dealer (saurav banerjee) Discover properties by other dealers by hiding those whom you have already spoken to. You won't see them in your searches further but you can unhide anytime later. Hide this Dealer (S Kumar) Discover properties by other dealers by hiding those whom you have already spoken to. You won't see them in your searches further but you can unhide anytime later. Hide this Dealer (Shree Bajrang Properties Consultant)Discover properties by other dealers by hiding those whom you have already spoken to. You won't see them in your searches further but you can unhide anytime later. 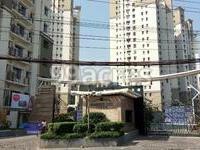 Diamond City South in Sarat Pally, Kolkata South by Diamond Group is a residential project. 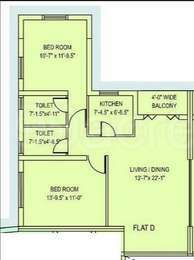 The size of the Apartment ranges in between 1187.0 sq.ft. and 2000.0 sq.ft. Diamond City South price ranges from 76.00 Lacs to 2.65 Cr. Diamond City South offers facilities such as Gymnasium and Lift. Bank loan approved from HDFC home loans, ICICI, State Bank of India, IDBI Bank Ltd., AXIS Bank LTD., LIC Housing Finance Ltd. and RELIANCE HOME FINANCE. It is a ready to move project with possession offered in Dec, 2010. The project is spread over a total area of 18.36 acres of land. Diamond City South has a total of 5 towers. The construction is of 20 floors. An accommodation of 575 units has been provided. Where is Diamond City South located? Sarat Pally, a prime residential locality for house seekers in Kolkata South. What apartment sizes are available in Diamond City South? The project offers apartments sized between 1187.0 sqft and 2000.0 sqft. What is the 2 bedroom size in Diamond City South? 2 BHK units in the project are available in a size of 1187.0 sqft to 1200.0 sqft. What is size of 3 bhk in Diamond City South? 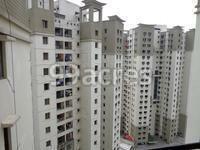 The area of 3 BHK apartments ranges from 1416.0 sqft to 1750.0 sqft. What is the 4 bedroom size in Diamond City South? Four-room units (4BHK) in the project are available in an area of 2000.0 sqft. What is the total area of Diamond City South?The project spans across 18.36 Acres. Latest available durable outer finish. Diamond Group is a consortium of leading developers and promoters in Kolkata who have the credential of constructing over 5 million Sqft of landmark residential and commercial complexes viz, Siddhartha, Surya Kiran, Convent Enclave, Brindavan Garden, Landmark, Park View and Centre Point. Which top 5 cities in south india, Do you think will be good for construction in the next 20 years? and why? and what was their growth till date?